St Raphael's has offered hospice care to people with life-limiting illness living in the boroughs of Merton and Sutton for the past 30 years. The service is completely free of charge, and provides high quality medical and nursing interventions, as well as support to family and friends. 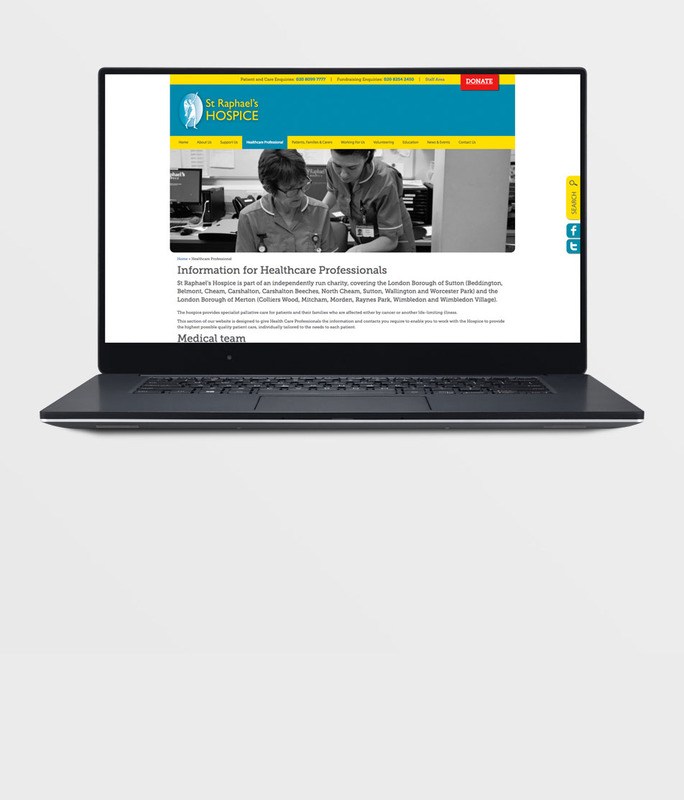 Reuben Digital were privileged to have the opportunity to help this fantastic organisation develop their digital strategy, and provide the hospice and the community it serves a website they truly deserve. There were a lot of new considerations for the people at St Raphael's, such as identifying who their diverse target audiences were, what website content would be needed, where it would come from, and who would manage it. Reuben worked very closely with St Raphael's internal teams, facilitating workshops that served as both an educational platform with respect to website content creation and management, and ultimately defining the content architecture and user experience. 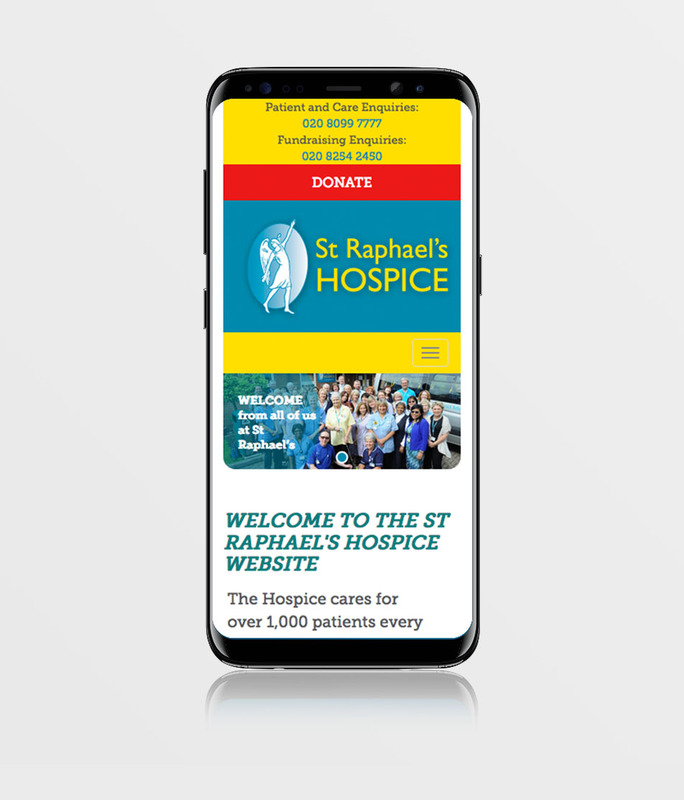 As with all organisations of this nature, fundraising is a key aspect of any digital strategy, and we helped St Raphael's introduce subtle but effective online fundraising tools such as JustGive, through to legacy and regular payments. 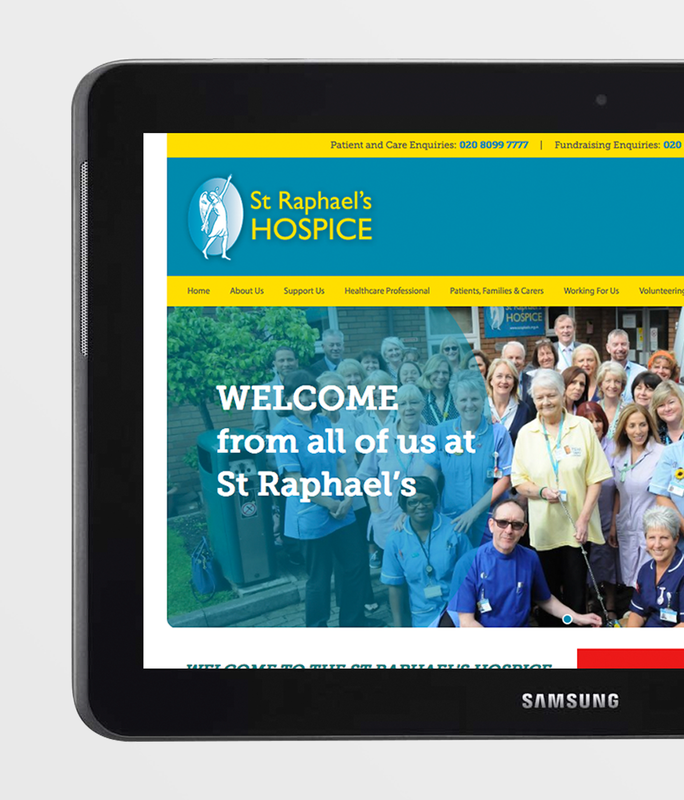 Ultimately, three years down the line, the website and the Reuben Content Management System (CMS) is proving its worth, and St Raphael's Hospice's care simply continues to go from strength to strength.